The Right. Hon. 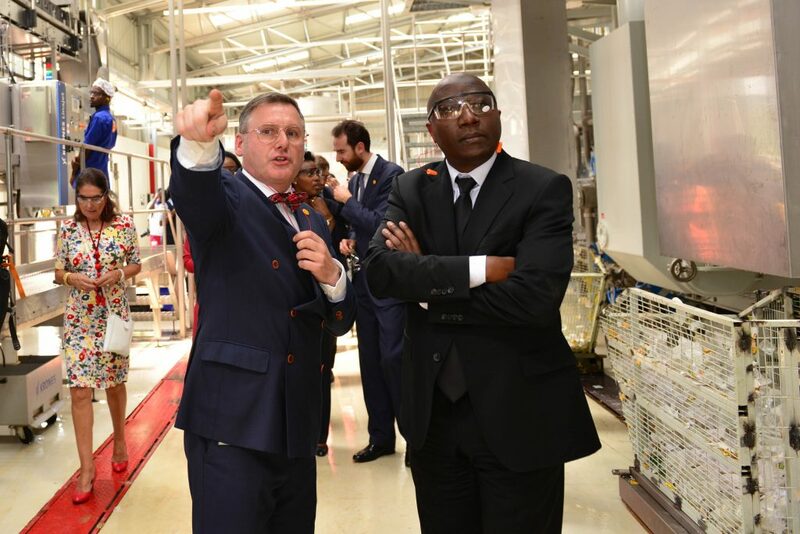 Prime Minister Dr. Edouard Ngirente yesterday, on behalf of H.E Kagame Paul, the President of the Republic of Rwanda, officially inaugurated the new Skol Brewery Ltd packaging line located in Nzove, Kanyinya Sector of Nyarugenge District in Kigali City. 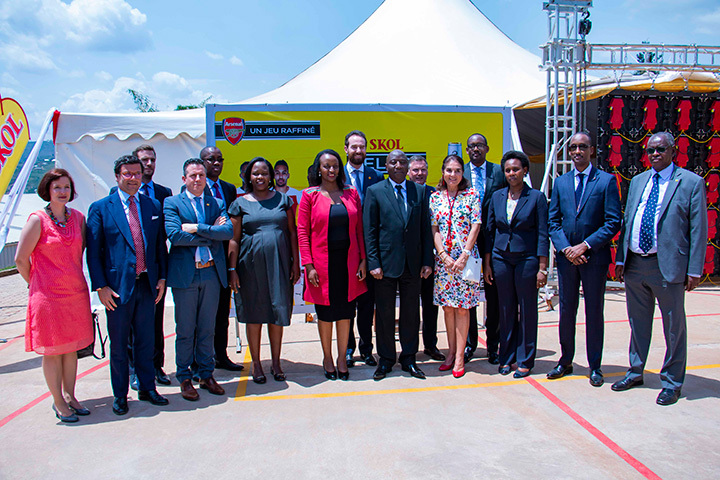 Skol Brewery Ltd (SBL) has launched a second bottling line expected to enable the company double its production from the current 500,000 hectoliters per annum and expand footprint to regional markets. 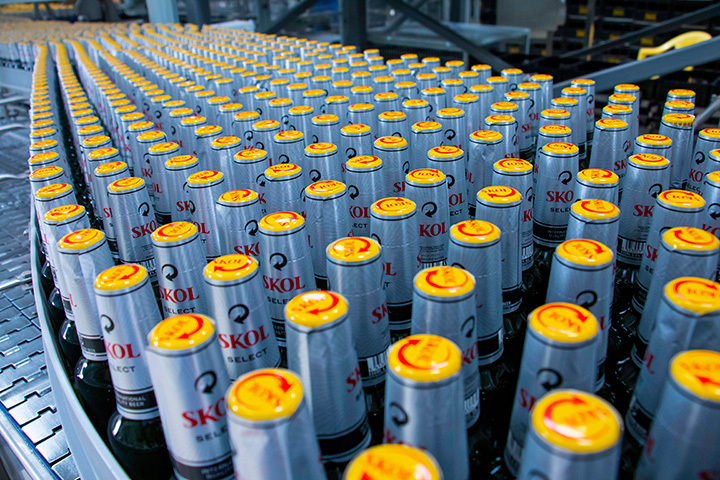 SKOL Brewery Ltd (SBL) is a subsidiary of UNIBRA, a Belgium-based, family owned company, having activities in the Brewery Industry, Real Estate and Financial Services. 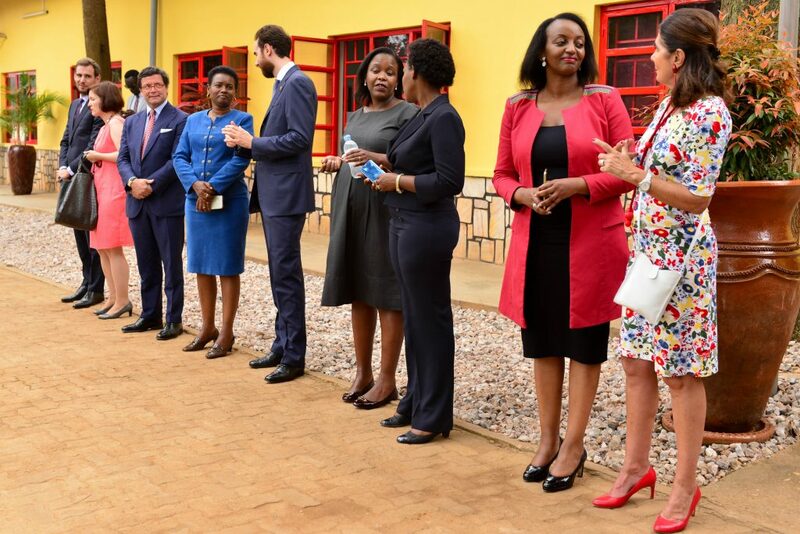 SBL began operations in Rwanda in 2010. 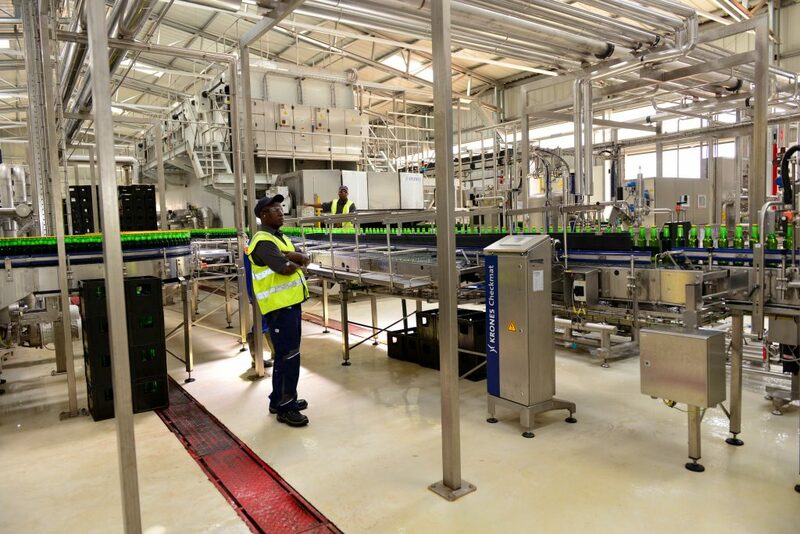 Initially, the plant’s annual production capacity was 80,000 hectoliters and some of distributors sold 3,000 crates per month in early days but today the number has risen to 50,000 crates per month. 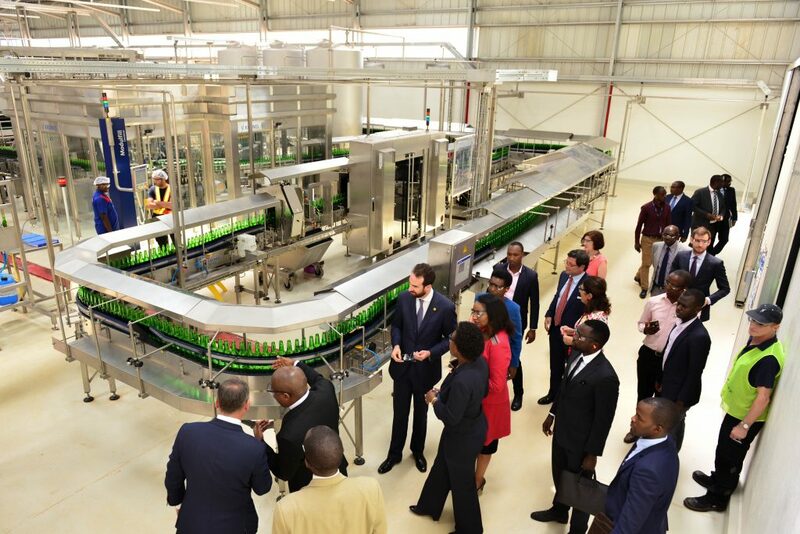 The launch of the new bottling line held on 29th January 2019 at the brewery’s plant in Nzove, Nyarugenge district of Kigali city was graced by the Prime Minister, Edouard Ngirente and attracted other government officials including the Minister of Trade and Industry, Soraya Hakuziyaremye; the CEO of Rwanda Development Board, Clare Akamanzi ; Rwanda Revenue Authority Commissioner General, Pascal Ruganintwali ; members of Private Federation, partners, distributors and SBL management among others. 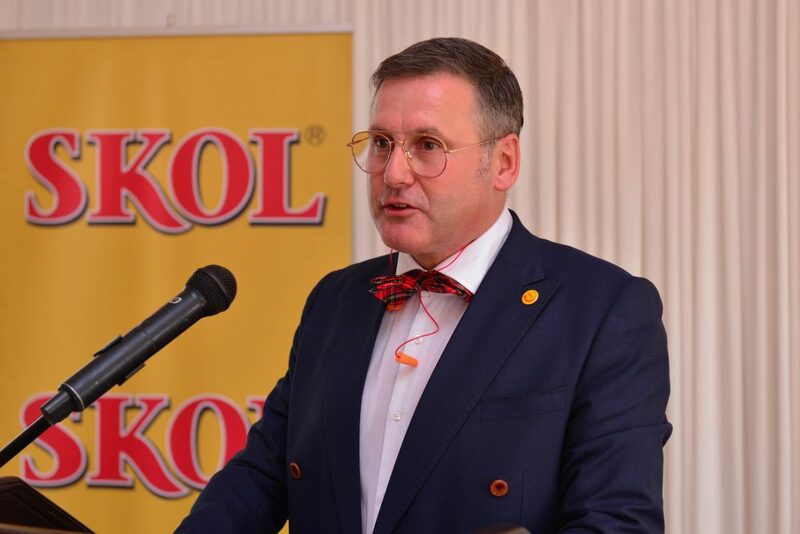 Mr. Ivan Wulffaert, the General Manager of Skol Brewery Ltd thanked distributors, partner banks, main suppliers and other partners that put in all their efforts towards the success of the milestone of installing new machinery, expanding premises and expressed optimism that production capacity will increase too. 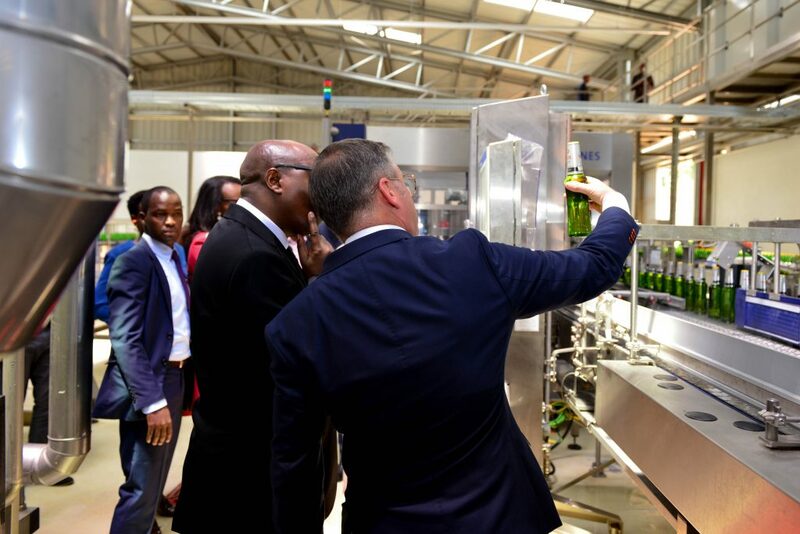 “With this new investment of about USD 10 million we will double our bottling capacity. 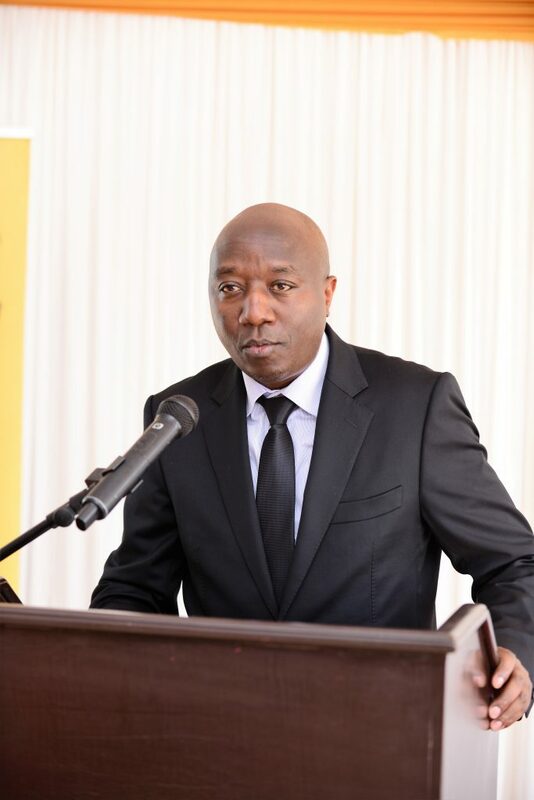 We are confident that the economic growth of the country that it has shown over the last ten years, we will meet such an increased capacity not only to satisfy the local consumers but also because we have important plans to export to neighboring countries,” he said. 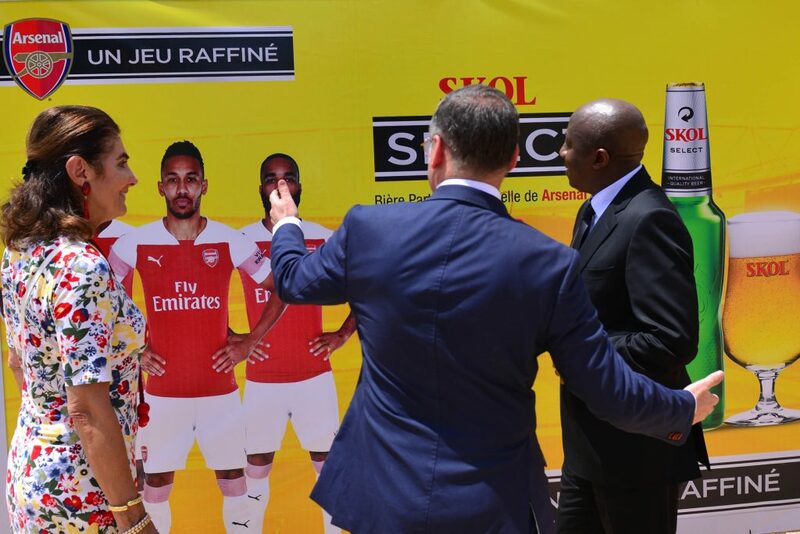 “We see your presence here as recognition for the efforts that Skol Brewery Ltd makes to satisfying millions of consumers, to develop our personnel our partners and to develop this remarkable Rwanda,” added Wulffaert. 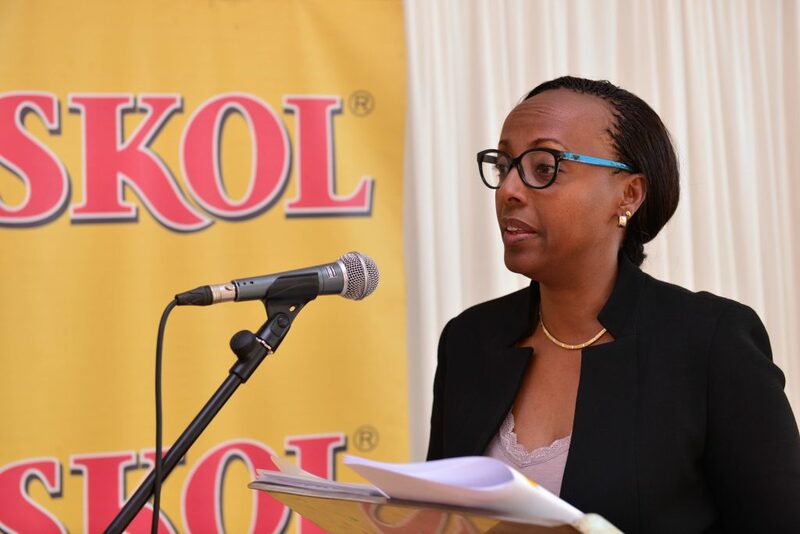 He highlighted that Skol Brewery Ltd is not here to make quick yields but has an underlying vision and mission of promoting a sustainable business that wants to have long term fundamental impact on the country. 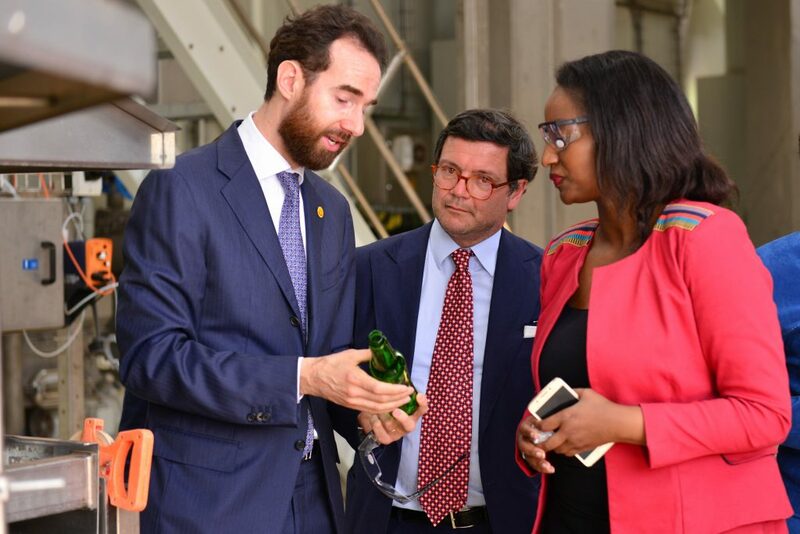 Among others, Wulffaert said, the company has the ambition to contribute and influence corporate practices on climate change, good governance and anti-corruption through the facilitation and sustainability and gender equality. 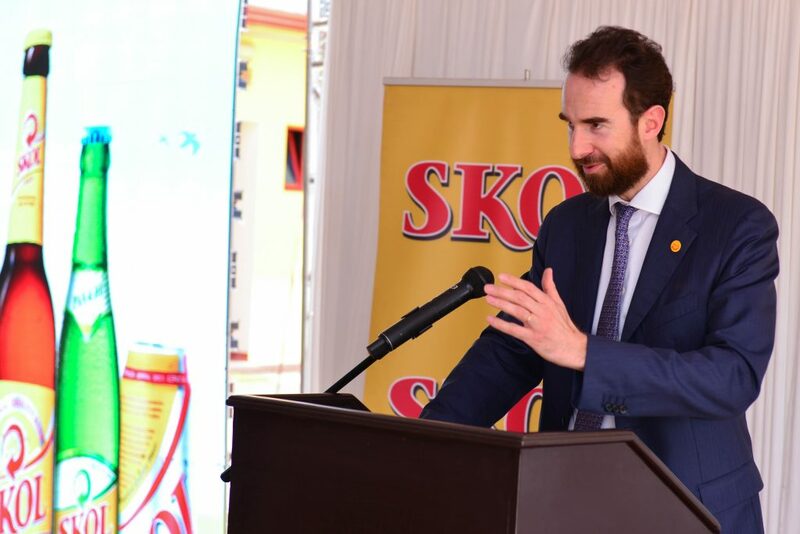 Mr. Thibault Relecom, The CEO of UNIBRA and president of Board of Directors of Skol Brewery Ltd said that the new equipment will give all products at Skol Brewery the best quality that consumers deserve. 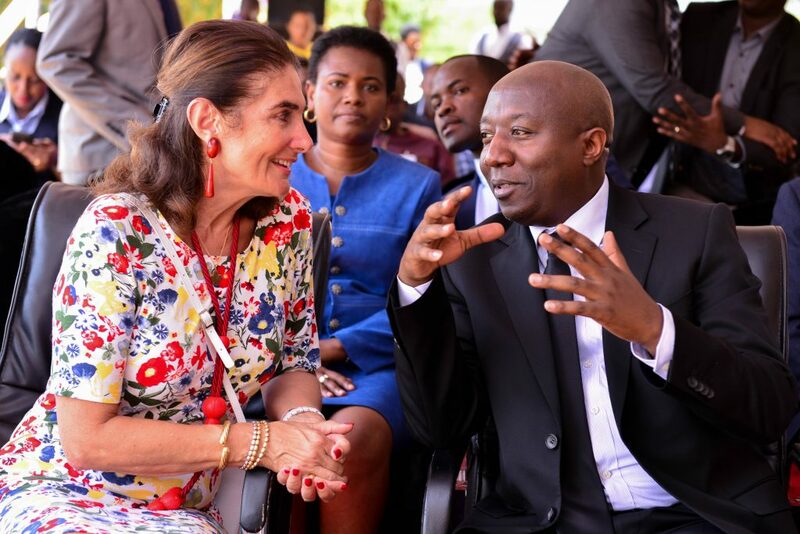 He noted that the journey of nine years when SBL started initial investments has been interesting and thanked the Rwanda Development Board for great support enabling a conducive business environment. “It is with great emotion that I am standing in front of you next to this beautiful state of the art brewery. Nine years ago when we started initial investments, we have been through a long and sometimes difficult but mostly an interesting journey. 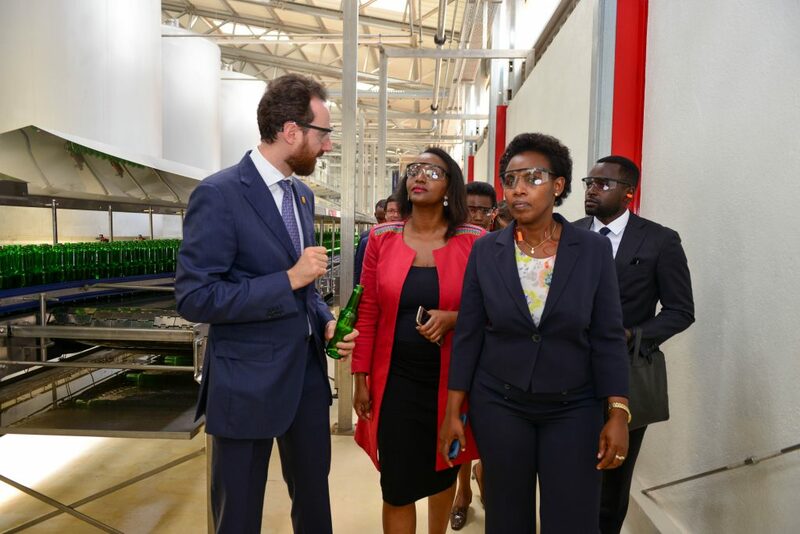 This journey came from the vision of my mother who believed that in a country like Rwanda where there is fair competition and hardworking, everything is possible,” said Thibault. 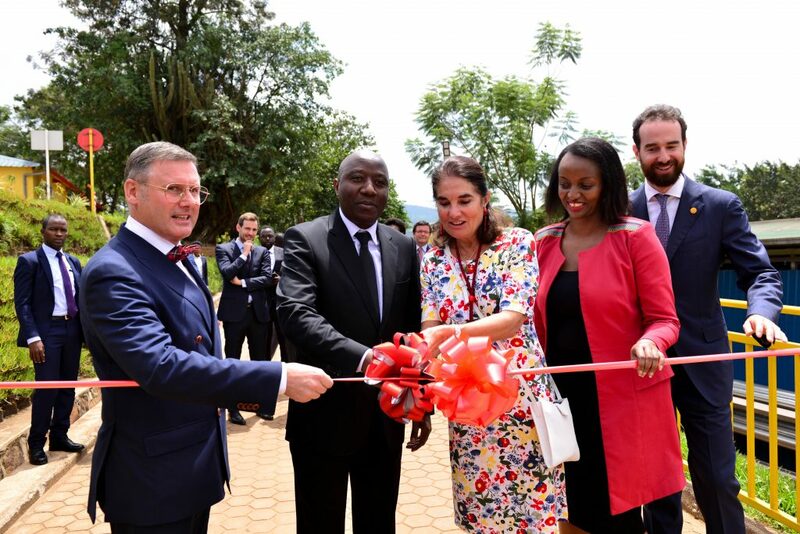 The Premier concluded his remarks by acknowledging UNIBRA for its investment in Rwanda and encouraging them to keep the momentum in their activities.